This is a great private tour of Venice for first time visitors who wish to orientate themselves with the City of Canals while visiting two of most important sites that Venice has to offer, and of course some of the other treasures. 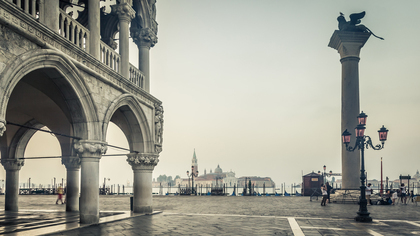 Our Venetian guide will first show you the famous St. Mark's Square and St Marks Basilica, before making our way down small streets, over arched bridges, crossing picturesque canals in order to experience some of the most beautiful architecture in Venice. 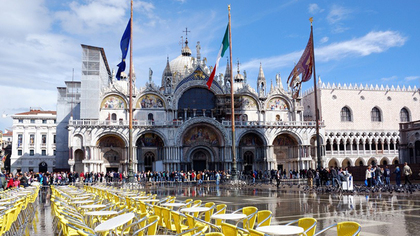 Meeting Point : St. Marks Square. Full details in confirmation email. Our fluent English speaking guide will meet you at St. Mark's Square which is still today the center of religion, political and social activity in Venice. This is where we will have an introduction to the City itself as well as learn about the surrounding area. While in the square we will talk about the Doge's Palace from the outside. 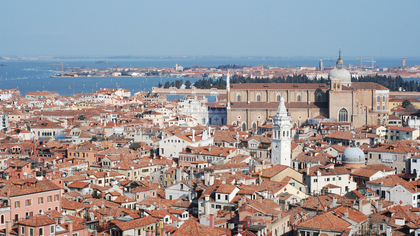 As you may guess from the name, this was once the palace of the Doge; Venice's once all ruling authority. 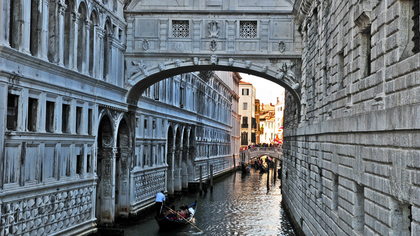 We will also learn about the Bridge of Sighs which links the Doge's Palace to the New Prison. After learning about Piazza San Marco we then make out way into St. Mark's Basilica, by far the most important church in Venice and northern Italy. 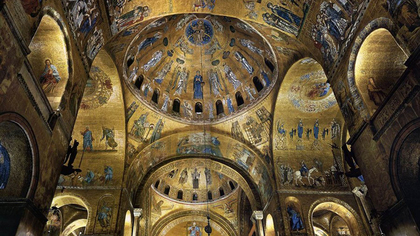 With it's focus on Byzantine design and architecture it has quickly come to acquire the name, 'Church of Gold'. Once entering the church we have beautiful geometric design, raising columns which holding perfectly symmetrical domes full of vibrant mosaics. We will make a short climb to the terrace of St Mark's Basilica where we can admire a copy the forever sought after Copper Horses. The originals have traveled long and far, from the Hippodrome of Constantinople, to Venice, then onto the Arc de Triomphe in Paris with Napoleon, finally to return back to St Mark's where they stand today. From the terrace, we have great views of the upper facade, the square itself, as well as St Mark's Campanile which has command over the area today. After admiring the best of St Mark's and it's history we slowly work our way back into the streets of Venice to explore more of the city center. 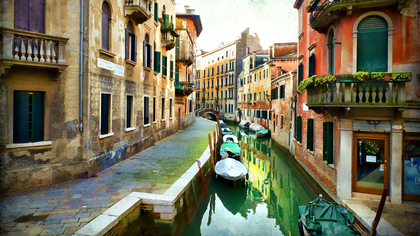 Venice's lane ways, bridges and canals are truly dreamlike as you will be amazed with every turn. Walking down the main shopping street of Venice we finally arrive at the Rialto Bridge which stretches over the Grand Canal. 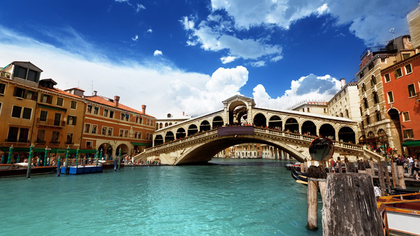 Once the trading center of the Grand Canal, this area of the city is still bustling with history, culture and is full of life. After the tour you will be in the perfect location to go for lunch, hop in a gondola to see some of the smaller canals, or take a ride down the grand canal on Venice's public boat transport. *Please Note : St. Mark's Cathedral may be closed without warning due to high-tide or restoration. If there is notice of closure we always try to warn clients ahead of time. However, if in the case where we are not able to enter the Cathedral, alternative tour itineraries will be given but refunds or discounts will not be possible. Meeting Time : Monday - Saturday : 9:30am, Sunday : 1:45pm; if you wish to begin at a different hour please specify in the 'special requests' section. Dress Code : Men and woman must have both shoulders and knees covered when entering St. Marks Cathedral. Comfortable walking shoes!